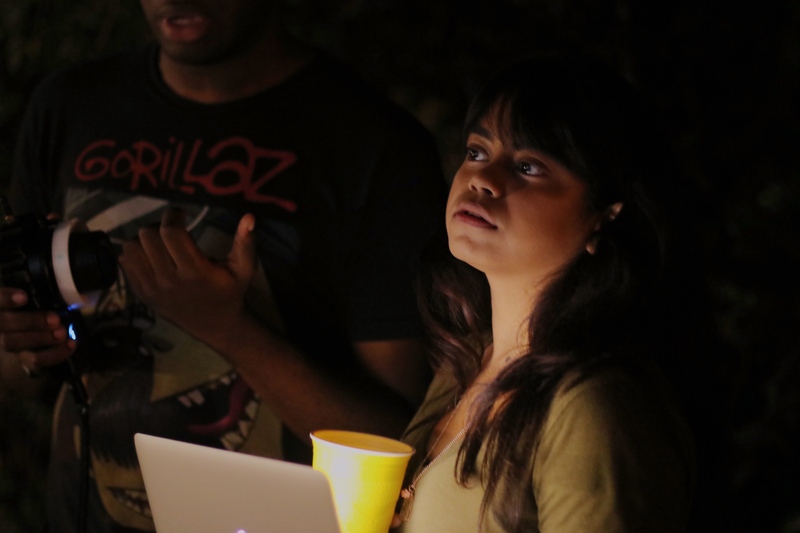 Kira Rakshit is directing her own film this semester. How has Grady influenced your time at UGA? I have been pushed to work my absolute hardest during my time in Grady. It molded me to become more ambitious and determined. As I graduate this Fall, I am coming out of the program as a completely different person. I have also been fortunate enough to be given a chance to visit some really amazing places — namely France, New York and Los Angeles — and gain valuable practical experience that’ll benefit me tremendously as I move forward in my life. These have created opportunities for me that I could not be more thankful for. What has had the biggest impact on your life during your time at UGA? Probably being accepted to my major. My life really changed once I came into Grady. That sounds like an exaggeration, but it most definitely is not. My work ethic became much stronger, and I started working much harder. But I also made so many new friends and connections that I will carry with me even after I graduate. What is your best advice for a student taking their first class at Grady College? While I can only speak from my experience in EMST, I am sure that every student, after getting into their major in Grady, feels intimidated at first. You finally commit to focus on a specialized area in college where your teachers demand a high level of dedication and intelligence. All of that will seem challenging, but it is challenging for everyone. Take a deep breath. You’ll learn to manage all of it. As long as you’re passionate about what you do, all the hard work will be worth it. I want to make my family proud. My parents and sister have been so incredibly supportive of my dreams and aspirations my entire life and me striving to work hard is a direct result of that. In addition to that, I want to make the five-year-old me proud. Kira Rakshit looks at a monitor as she directs a film. That I grew up in India. People around are usually surprised by that when they first find out. What is the best piece of advice you’ve received from an instructor/mentor/family member? I don’t think that I have one singular, all-encompassing piece of advice that I have gotten from someone. But my parents always urge me to have conviction and a positive approach whenever I have a tough time with anything, and if I ever forget, all I have to do is call them. Favorite Peabody winner over time? The Colbert Report. I do think that I am biased with this answer, however, because of how much I love Stephen Colbert. Jittery Joes, Starbucks or Dunkin Donuts? Starbucks. Nothing compares to their Iced Matcha Green Tea Lattes. I feel like I can’t name just one. I have three. Reese Witherspoon. I think the work she has done with her company is really inspirational. Her company’s focus on fostering great stories from women creators is incredibly motivating. Nina Jacobson. An activist as well as a powerhouse producer, she went from being fired as an exec in Disney after the birth of her third child to forming a hugely successful production company that has put out really good work in the past years. Pie in the sky dream: I’d see myself working as an executive in studios or production companies before possibly starting a company of mine as well, which is roughly the same career trajectory as hers. Create your own question to answer: What has been a major learning curve for you during your time in Grady/your major? Collaborating with about 40 different students at the same time while working on the student film productions that I have been a part of has been a huge learning curve for me in college. Whether I was the producer on the project, or more recently the director, it made me develop skills that I didn’t even know I needed.